Evans G2 series features two plies of 7mil film offering maximum durability, wide-open response and undeniably fat low-end. A modern, full resonance you can tailor to taste. Evans Level 360 technology is incorporated to extend the level playing surface of the drumhead, 360 degrees around the drum. 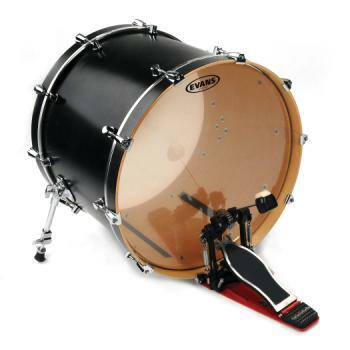 The vertically enhanced collar design guarantees even contact with the critical bearing edge of the drum shell, resulting in: ease of tuning, extended pitch range and optimum quality of sound.